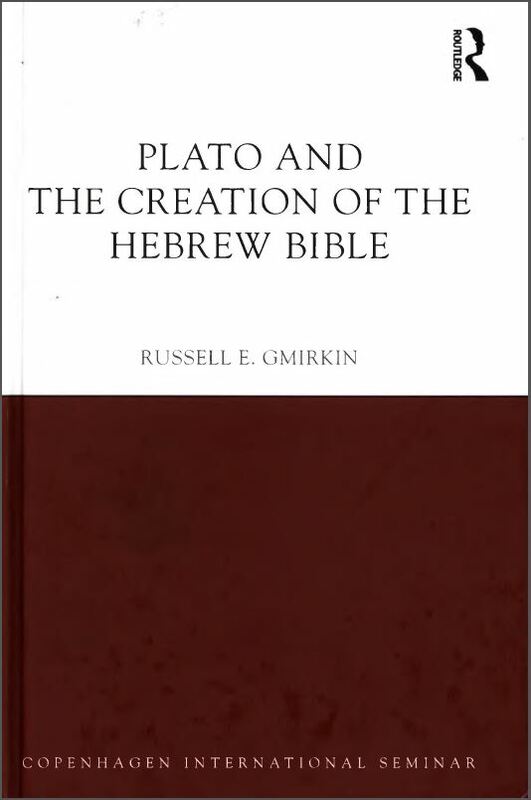 There is a review by Stéphanie Anthonioz of Russell Gmirkin’s Plato and the Creation of the Hebrew Bible on The Bible and Interpretation site. I have been discussing this book — see Archives: Gmirkin: Plato and Creation of Hebrew Bible — and hope to complete those posts soon. The argument is simple and comparative: the greater number of Pentateuchal laws, even if they had some Semitic precursors, seem copied from Athenian law or, more precisely, the Platonic laws (chapters 2-5). Beyond this argument, the author proposes that the Laws of Plato constitute a new hermeneutical key for the ideology not only of the Pentateuch but the whole of the Bible: the Bible is the official national literature mandated according to the same instructions of the Platonic laws (chapter 6). For the author, the hypothesis which has never been advanced is that which he defends, that knowledge of the Pentateuch did not exist before the era of Hellenistic interaction and, furthermore, that it is massively based not on Semitic traditions but Greek. In the brief section, “The current volume” (pp. 4-5), the author restates the new historical framework of his hypothesis: it is in the Great Library of Alexandria that the Jewish authors, assembled under royal sponsorship, drew from their sources and drafted the Pentateuch. A historical consequence directly follows: the theocracy which is established in Judea at the beginning of the Hellenistic era is modeled on Plato’s model government. The biblical collection was ultimately composed in two phases: the first, the work of the Seventy under royal sponsorship in Alexandria; the second in later stages in Palestine in order to constitute not only a national literature, but also to be an educational program to train obedient citizens. In this discourse, for example, Job becomes the paragon of Greek tragedy! Thus, “The Hebrew Bible as a whole can best be understood as a literature intended for the education of the soul, utilizing all the tools in the Platonic psychogogic arsenal: poetry, myth and song, theology and prayers, pageant and spectacle, theater, drink and dance and persuasive rhetoric that appealed to the patriotic, praised the noble and exalted and condemned the wicked and disobedient, who were threatened with punishments in this life and terrors in the next” (p. 267). Knowledge of this intention and invention would have been erased from the literature such that no link with Alexandria could be denounced. However, the author’s energy is somewhat attenuated by historical and methodological issues. Because, in criticizing the historical framework of a cultural fount and common law in the Mediterranean basin, the author sets up a framework no less hypothetical and lacking historical proof: namely, the writing of the Pentateuch by the Seventy in the Great Library of Alexandria of ca. 270 BCE. Moreover, while studies especially archaeological continue to document influences across the Mediterranean basin and the Near East, the author prefers a mythical framework: what historicity can we today grant the Seventy credited with translating the Septuagint? For more information one has to go back — it is true — to the author’s first volume Berossus and Genesis, where the date under Ptolemy II Philadelphus and authorship of The Letter of Aristeas are discussed. However, this question remains difficult and its answer no less hypothetical. In addition, the author presents the Greek sources most often in their historical context: the laws of Solon, of Clisthenes, the codes, the Twelve Tables. So why deny this historical depth to the biblical text and legal corpora? From this historical framework flows a number of inconsistencies. Thus, to give one example, p. 5, the author asserts that the direct consequence of dependence on Plato’s Laws is the theocracy established early in the Hellenistic era in Judea. But later, in the comparison he offers of institutions, he never fails to emphasize the democratic, egalitarian dimension of the political and social system: but then what is to be made of the biblical priestly caste and its power? Other criticisms raised relate to questions of traces (or lack of them) of Greek style in the Hebrew text; and a clearly defined concept of Judaism. Anthonioz suggests a better fit for the close fit between Athenian sources and the Pentateuch is the period of the Persian empire. That idea of course stands in opposition to Gmirkin’s own suggestion that authors of the Hebrew work were reliant upon the Hellenistic era Library of Alexandria. The European scholarship on the Pentateuch has tended these last decades to reach some consensus regarding its final redaction. The Pentateuch appears itself as an authoritative text, both ideologically and theologically. The many trends within the textual strata make it clear that it was not an easy task to reach a consensus regarding identity. But it was brought to completion through the closure of these five books as a whole during the Persian period and their subsequent translation into Greek in the following Hellenistic period. Indeed, the intuition that the Pentateuch makes better sense in light of Athenian sources is quite convincing in my eyes, but these influences may have begun earlier and the Persian Achaemenid period seems a perfect historical context as the empire was confronted repeatedly and the Levant stood at the cross roads of Greece to many routes from the eastern to the western frontiers and the southern to the northern ones. As a final word, it is clear that the detailed comparisons between the Greek and Biblical systems of legislation are of immense value and definitely advance comparative studies on this subject. 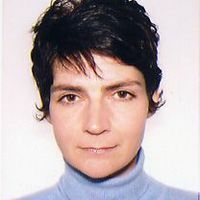 So it looks to me like Stéphanie Anthonioz’s review opens up an interesting discussion over different possible explanations for the clear and striking similarities between Plato and the Pentateuch that Russell Gmirkin has set out in detail. Posted on 2018-10-05 23:45:44 GMT+0000 by Neil Godfrey. This entry was posted in Uncategorized and tagged Gmirkin: Plato and Creation of Hebrew Bible. Bookmark the permalink. Back when I was a lot younger the Documentary Hypothesis was quite popular, and still seems to be. The interesting thing is that the first four books have one group of authors (usually called J, E and P) and Deuteronomy has another, usually called D or the Deuteronomist. The Deuteronomist’s influence seems to go through the entire Former Prophets (Joshua, Judges, Samuel, Kings). I’d like to see someone credible deal with the idea that the Pentateuch is a theological grouping, and the actual literary grouping is the first four books and then next five. “Someone credible”? Well, for what it’s worth you can find articles about the ideas of professional scholars at public universities who do address alternative perspectives: check out Wesselius, Wajdenbaum, and others if you search via the terms “documentary hypothesis”. Hello Neil. I have been digging through your site over the last few weeks, and found the Greek influences on the Hebrew Bible intriguing. OTOH if the Maccabees had stories of military defeat due to refusal to fight on the Sabbath, and the tale of how Shmaia and Abtalion desecrated the Sabbath to save Hillel from freezing to death on their roof suggest that the idea of a weekly day of rest was not extremely old (and definitely doesn’t go back to the Kingdom of Judah), or such matters would have been settled law by then. Old information in the Primary History: Somehow the Primary History contains references to places that had long stopped existing by the time of its proposed composition (by the Jewish equivalent of Herodotus?) – for instance Shiloh and Gath. At the same time, according to Israel Finkelstein in The Forgotten Kingdom, while the Primary History knows of Shiloh and places its destruction in the correct era, there are no signs that the real Shiloh was a cultic center in Iron I (though yes in the Late Bronze), but it may have been a redistribution center. Also, we have stories like the Jacob cycle, that serves as an etiology for the border between Israel and Aram, and according to Finkelstein matches the location of that border in the days of the Omrides. How did such details make their way to Jewish Herodotus? Finkelstein imagines some written sources from Bethel. But perhaps oral story-telling was sufficient? If the exiles from Judah lost their identity in exile, and the people who migrated from Babylon to Yehud were unrelated settlers that were given a new identity, where did the Jewish community of Babylon come from? Gen. 2.2 actually states that on the seventh day God “ceased” (Heb. shabath) from all the work he performed, not “rested” (as commonly translated under influence from Ex. 20.11 [Heb. nuach]). This cessation may not have been an allusion a sabbath of “rest” = leisure and refreshment, but rather an echo from Plato’s Timaeus, where the cosmic Demiurge or Creator ceased from further activity after he completed fashioning the cosmos. Since 2006 I have come to see there are far more systematic parallels between Genesis 1-2 an the Timaeus than with Enuma Elish, which I will discuss in my next book. You are right that Maccabees points to the sabbath as a relatively recent innovation whose military implications had not been worked out or tested until the Maccabean war. A seven day week is first documented in the Elephantine papyri and ostraca of ca. 475-400 BCE (TAD D7.10.5; D7.12.19; D7.28.4; D7.35.7; D7.16.1-5) and in the Astronomical Book of Enoch of the later Persian or early Hellenistic eras (1 En. 79.4, which refers to the astronomical “law of seven days”). In neither was the seventh day associated with sabbath restrictions. Indeed, one ostraca from Elephantine enjoined an employee to offload a boat full of vegetables on the sabbath on pain of death (TAD D7.16.1-5). The restrictions associated with the sabbath of the Pentateuch, such as travel restrictions (Ex. 16.29) and not lighting a fire (Ex. 35.3), were also activities forbidden to the king on “unlucky days” of Neo-Assyrian hemerologies and in correspondence between scholars and the king. How Neo-Assyrian hemerologies (lists of lucky and lucky days) came to evolve into the sabbath of the Ten Commandments is too complex to get into here, except to note that in a letter to the Seleucids of 169 BCE preserved by Josephus (Ant. 12.259-60), and widely considered authentic, the Samaritans stated that they had originally instituted the Sabbath, a claim for which I believe there is substantial corroborating evidence. P.S. I doubt that the Jews exiled to Babylon lost memory of their ethnic/national origins, but likely remained in continued contact with the many Jews remaining in Judah. My understanding is that the roots of the Jewish sabbath are in the ‘unlucky days’, but there was a transformation both in form (from 4 fixed days in the lunar month to one day out of 7) and in meaning (from ‘no point in doing anything important, it won’t succeed’ to making the day ‘holy’). But I don’t know when the transformation took place and how. So you bring evidence supporting a change of form much before the change in meaning. Römer points out that in Exodus circumcision, the Sabbath, and sacrifices to Yahweh all happen before the Law is given at Sinai. They are all markers of identity that were stressed as important in descriptions of the conflict with Hellenic culture (though I would have expected some reference to dietary laws as well?). Do you consider this significant to how 3rd century BCE Alexandrian authors of Exodus would think? Yes, it seems to me one sees a change in form, from a month of 30 days (with the 7th, 14th, 21st and 28th days as unlucky) to a week of seven days (with the 7th day unlucky). The Elephantine Papyri (ca. 450-400 BCE) and the Astronomical Book of Enoch (ca. 375-275 BCE) document a week of seven days but the seventh day is described as neither unlucky nor holy. The first evidence for the biblical sabbath as a holy day is—not surprisingly—the bible, i.e. the Pentateuch which I believe was written at Alexandria in ca. 270 BCE. Evidence shows the seven day week was known to Jews, Aramaeans and even Egyptians at Elephantine, based on the ethnic distribution of the name Sabbetai. Interestingly, the oldest portions of the Astronomical Book of Enoch, written in Aramaic, appear not only to be pre-biblical but non-Yahwistic (Yahweh nowhere appears). So the seven day week was not a marker of Yahwistic culture in these documents. Circumcision was said to have been practiced among “the Phoenicians and Syrians of Palestine” along with the Colchians, Egyptians and Ethiopians by Herodotus (ca. 450 BCE), the “Father of History” who wrote ca. 450 BCE. Only ca. 315 BCE does circumcision appear in connection with the Jews (alongside the others mentioned by Herodotus) in Hecataeus of Abdera (the first mention of the Jews in Greek literature). I’m thus not sure how distinctive Jewish circumcision really in this early time frame. Sacrifices to Yahweh were conducted by both Samaritans at Mount Gerizim and Jews at Jerusalem in new temples constructed in the Persian Era. Yahwism was important as a local religious reflection, but I don’t think there is evidence this but either Jews or Samaritans in conflict with Hellenic culture until the Maccabean conflict. Indeed, The Letter of Aristeas indicates early Ptolemaic support for Jerusalem’s temple, and correspondence from Antiochus the Great to the Jews in 198 BCE preserved by Josephus shows Seleucid material support for Jerusalem’s temple (in response to Jewish siding with the Seleucids in their war against the Ptolemies at that time). So Yahwistic sacrifice was a reflection of religion but not a huge matter until the Maccabean War and the temporary outlaw of the Jewish religion and writings—and even then, the Samaritan temple at Gerizim thrived and became known as the temple of Zeus Xenios (“Zeus, patron of strangers”) or Zeus Hellenios (“Zeus of the Greeks”), showing that Yahweh worship was not viewed as sharply dividing the Samaritans from the Greeks. The emergence of anti-semitism in Egypt and later elsewhere Greek and Roman antiquity did appear to sharpen divisions between Jews and non-Jews, and such matters as sabbath, circumcision and diet became contentious markers of ethnicity and/or religion. Quite true, the king lists from Judah and Israel are about the only later local documents Jewish historians had to draw on to reconstruct earlier periods, but they appear to have mined Berossus for knowledge of episodes involving Judah or Samaria and the Assyrians and Babylonians. I also have a major article coming out probably next year on the Acts of Solomon, but I don’t want to spoil the surprise. In the Persian era, I view Haggai as authentic and mostly ancient, minus later Hellenistic Era additions and editing. It’s great that you’re willing to elaborate on your work on Neil’s blog here. BTW, are you familiar with Scot Griffin’s perspectives? He has posted occasional comments on Neil’s blog, too. Yes, Scot’s an original thinker and a nice guy. Wasn’t the name for unlucky says something like ‘shapattu’? If so, how do you know if the name Sabbetai refers to the 7th day of the week or the unlucky days of the month? How much geographical knowledge of the southern Levant would be available to the authors of the Torah (or the entire Primary History) in your opinion? What about knowledge of whichever folktales that existed among residents of various parts of the southern Levant? If the authors were sent from Yehud to Alexandria they might have known such stories and expanded them, with all the Hellenic influence making the stories more detailed, but still the core may have been older. So an etiological tale about the marking of the border between Israel and Aram in the 9th century BCE becomes the entire Jacob cycle. Does this make sense? OTOH, if the Primary History was composed over a relatively short period by a small number of authors, why does it look like it reflects more than one tradition? For instance both a tradition about a long sojourn in Egypt and an exodus of a very populous nation, as well as one where the Egypt sojourn was of just 2-3 generations, and the people who left were just a closely-related clan? Shapattu was the Akkadian word for the fifteenth or full-moon day of the month. Akkadian was not used at Elephantine, nor is there any evidence that Egyptians adopted any form of Mesopotamian hemerology (lucky and unlucky days) such as attached to the seven-day week among the Jews and Samaritans. And there is no evidence of sabbath restrictions at Elephantine. I think we can assume that the authors of the Pentateuch were heirs to local geographical traditions and etiologies and other forms of oral tradition. But identifying oral traditions within the biblical text–once the universal explanation for all the biblical tales, giving them a nice hypothetical antiquity and thus authenticity–is a tricky proposition (much like assuming the gospels all rest on solid oral tradition). There is literary evidence (in the form of doublets and internal contradictions) that multiple Pentateuchal authors sometimes wrote their versions of the same episode and that the editors often incorporated both versions rather than selecting one. This fundamental fact is true whether the multiple authors are viewed as separated by centuries (as in the Documentary Hypothesis and others) or wrote contemporaneously (as in my compositional model). Still on the topic of the sabbath/week: So you are saying the name Sabbetai indicates that a day named something like Sabbath existed in Elephantine culture. Yet there were no work restrictions on this day. Does this mean that the similarity to a word meaning ‘cessation of work’ is simply a coincidence (and possibly the idea of ceasing work on the Sabbath was inspired by the similarity in sound with ‘cessation of work’)? Do we know of any culture in the Near East or Mediterranean that had regular and relatively frequent days of rest before 270 BCE? There really needs to be a database of names of places mentioned in the Hebrew Bible, whether they are identified with any archaeological site, the basis for identification, when said site was populated, destroyed, stood in ruins. That would tell us when it could be plausible for authors to know of locations, and it would allow testing of geographical methods such as Finkelstein’s for cherry picking. So far my sense is that the authors of the Biblical stories knew of many places, but the stories they chose to set in them have little to do with what those places were like. But that is not the only example of goods being moved on the “sabbath” = sbh. Also, there are several instances of dated contracts signed on Saturday. On Shabbatai (sbty), he connects the personal name with the Babylonian calendrical term sapattu for full moon, noting that the ending ai may reflect Akkadian, and that in most cases a Jewish ethnicity either cannot be determined or is contra-indicated. He concludes that it does not point to a special Jewish affinity to the Sabbath as others had suggested in the past. In his summary he says that if one interprets sbh as sabbath, it shows no contact with biblical practices. I would also point out that the words sabbath (sbh) and holy are never associated in any Elephantine text as commonly appears in the Hebrew Bible. Would Berossus have included detailed geographical lists such as the lists of cities in various territories we find in Joshua? Finkelstein is convinced the lists match a 7th century BCE reality. So if the authors were writing around 270 BCE then either they had a written source for the cities or they could have written based on their own time, perhaps with some changes if some place was known to be recently established or mentioning some ruin as a city from the past (in which case Finkelstein is simply wrong). No, Berossus is not a plausible source for the lists in Joshua. Nor is this an Ancient Near Eastern genre, the delineation of territorial boundaries and cities. But such lists appeared among the Greeks. Attica, whose capital city was Athens, was organized by Kleisthenes around 500 BCE into 10 fictitious tribes, each with their own boundaries, to undermine existing kinship groups whose influence spread across the whole of the nation. This coincidence between (pseudo-ethnic) “tribe” (phyle) and geographical territory was common to Attica, the theoretical system laid out in Plato’s Laws, and Joshua. When two new tribes were added in the late 300s BCE, boundaries were shifted and there was a new publication of the cities alotted to each tribe. Given the obvious Greek influence, this would put the earliest possible date for the Joshua lists at 500 BCE, under the ridiculous assumption that Kleisthenes’ tribal reforms were known in Judea, but more reasonably at 335 BCE with the arrival of the Greeks and the Hellenization of the east. This is obviously incompatible with Finkelstein’s early dating. In decades past I have thought that a publication of all the biblical city names correlated with archaeological data would be quite useful for dating the lists in Joshua. There was a 7-volume (I think) book on Judean archaeological sites published a couple decades ago, but it was too difficult for me to wade through the data. My sense is that the persistence of place names in oral tradition would allow for these lists to have been compiled at any time. I recall you have doubts about whether the Hebrew Bible was written originally in Hebrew or Greek. The Hebrew Bible (and especially Genesis) has many etiologies of personal names and place names that work in Hebrew, not that much in Greek, AFAIK. Even if the authors were writing in Greek, they were thinking in Hebrew (or possibly Aramaic?). I think the evidence from Septuagint scholars is quite compelling that the LXX (Pentateuch) is a literal translation from a Hebrew Vorlage (or original text). I view the Pentateuchal authors as fluent Hebrew-speakers some of whom also read Greek. This model of GSL (Greek as a second language) I think accounts for the composition in Hebrew and later translation into Greek (using professional translators residing in Alexandria, on evidence of a few Egyptianisms in the LXX). The LXX also has a few Aramaicisms, but that may have been due to the translators rather than the authors: the Jews of Elephantine also wrote in Aramaic. Some of the thoughts of mine that I posted some years ago I may not hold today. Further, my primary interest in sharing some of the posts I do is not to argue the case they present but to share the views I find particularly interesting with others. I sometimes have reservations about some of the points of authors I share and I do not always interrupt them with my own thoughts. I leave it to readers to take what they find interesting and to follow up the arguments, for or against, as they wish — as I do. I am looking forward to returning to more reviews (or at least one more) of Russell Gmirkin’s book and at that time I will bet in a better position to catch up with some of the questions you have asked. I need to refresh my memory on much that I have read around those topics. Meanwhile, if Russell Gmirkin sees your questions hopefully he will have a moment spare to respond.